Schwartz & Wade, 9780375871122, 22pp. New York Times bestselling author and illustrator Tad Hills brings our favorite feathered friends out to celebrate Christmas in this sturdy, large-sized board book. 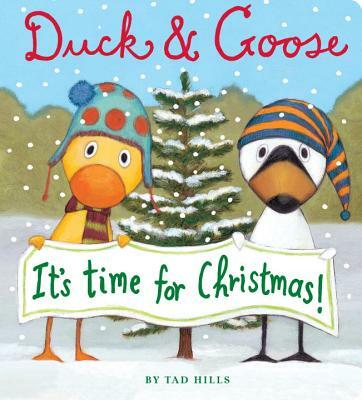 Goose wants to make snow angels and go sledding—but Duck knows it's time for Christmas! Preschoolers won't be able to resist this board book filled with Christmas cheer. The large size makes this a perfect book for sharing during a storytime or lap time.